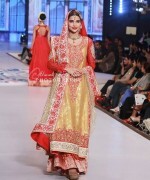 Did you catch up Nomi Ansari collection at Pantene Bridal Couture Week 2014? 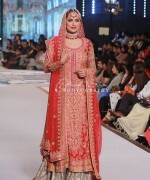 Well if not then grab it now and we are 100% sure that it will going to stop your heart beat for few seconds. 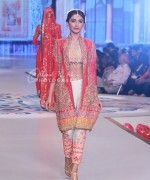 If we talk about Nomi Ansari then he is one of those fashion designers without whom the fashion industry of Pakistan is definitely incomplete. 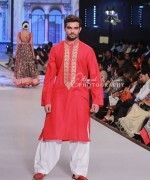 He is linked with the fashion world since the last several years and has made his own reputable place. 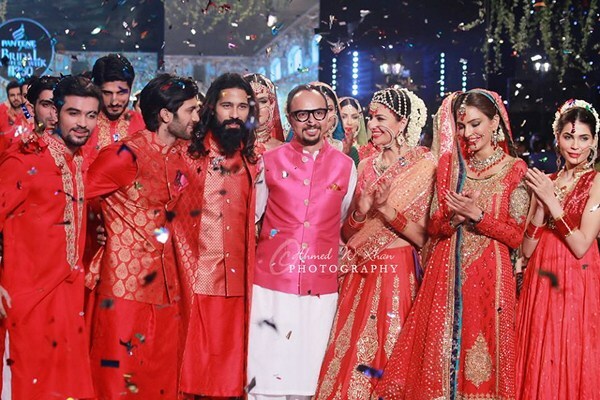 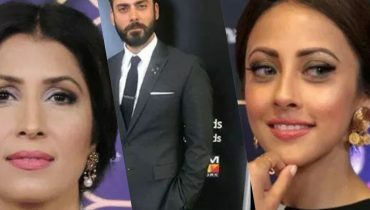 Nomi Ansari manage out his clothing collections for both men and women that specifically presented out inside the categories of formal wear, party wear dresses and bridal wear too. 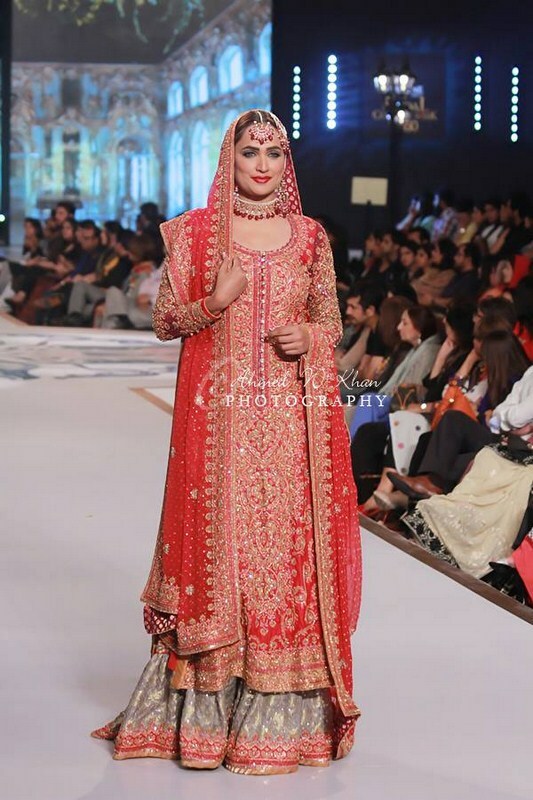 Just newly, Nomi Ansari shared out with his pleasing latest collection at the happening of Pantene Bridal Couture Week 2014. 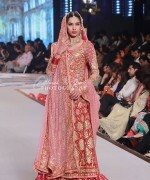 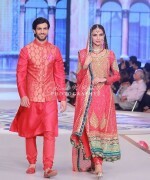 His whole collection was based upon the bridal dresses designs and groom wear as well. 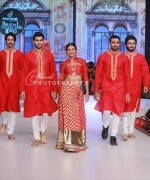 His showcased his collection on the Day 1 of Pantene Bridal Couture Week 2014. 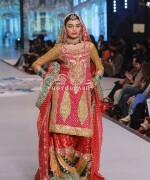 The women section of the collection is all filled with the superb looking bridal dresses of long shirts plus lehengas. 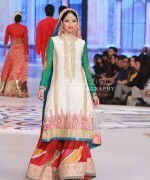 In some of the dresses you will going to find the blends of long frocks and A line shirts as well. 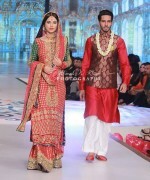 On other side if we look through the groom wear then it is all added up with the sherwani designs and groom kurta designs as well. 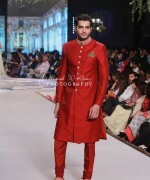 In all the collection dresses he has just made the use of two color shades adding with red and green whose mixed combination is making the collection mind blowing. 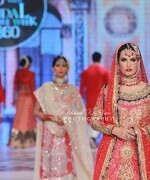 Let’s have a look at few of the best pictures about Nomi Ansari collection at Pantene Bridal Couture Week 2014! 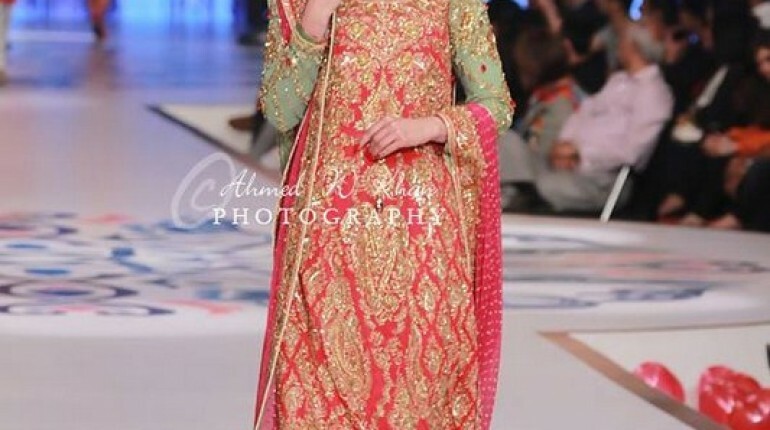 This whole collection of Nomi Ansari is designed out in the alluring and simply wonderful styles and designs. 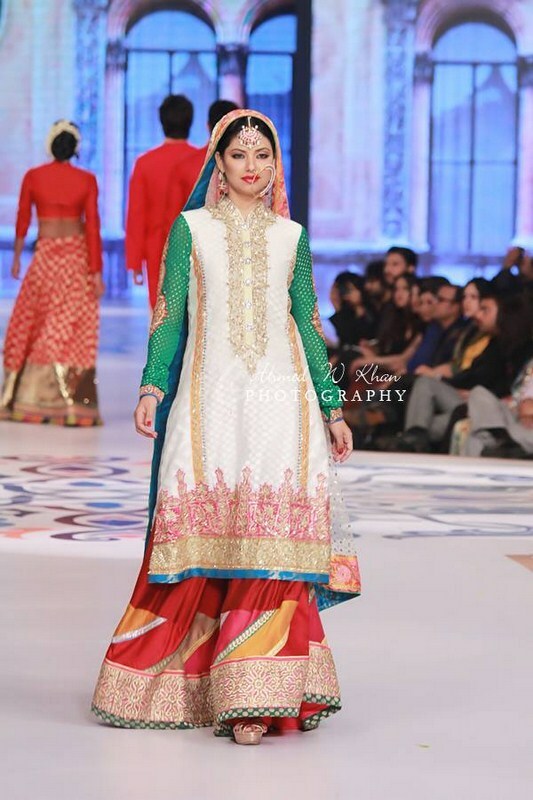 Grab it now and we are sure that you will going to fall in love with it.